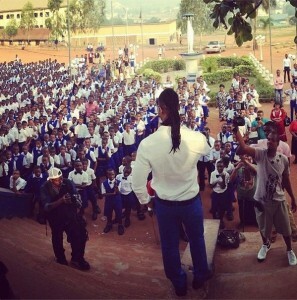 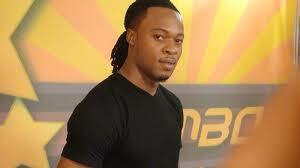 Nigerian music star, Flavour is keeping in touch with his Alma mater. 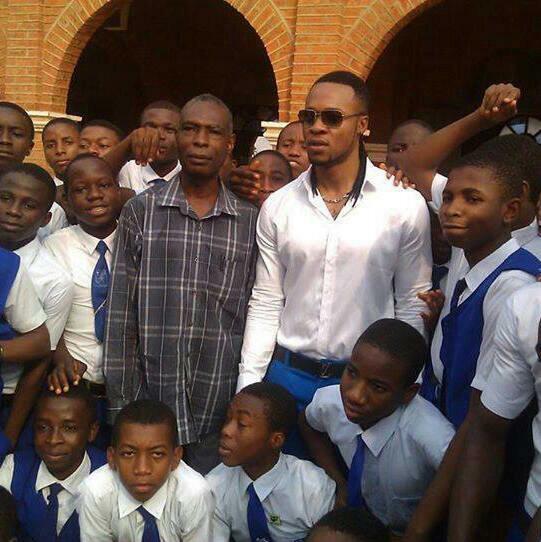 As part of the goals of his Flavour Foundation, the ‘Ada Ada’ crooner visited his secondary school – CIC Enugu. 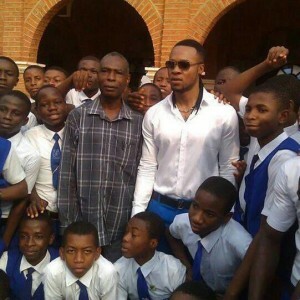 The “Ikwokrikwo” singer also wore the school uniform; a white shirt, and blue pants. 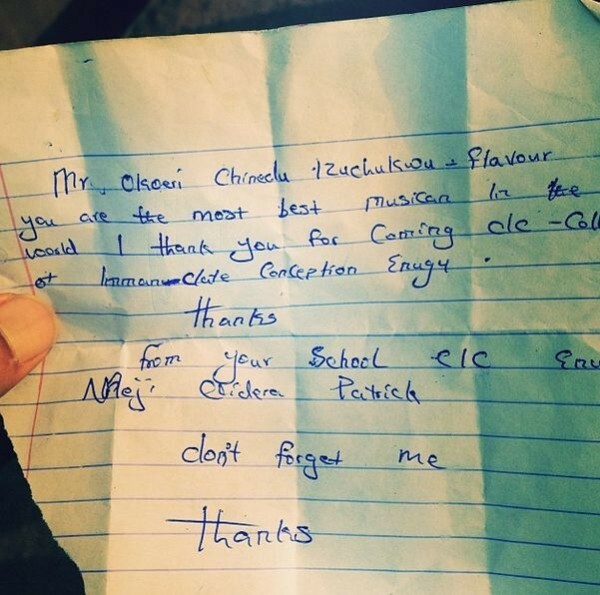 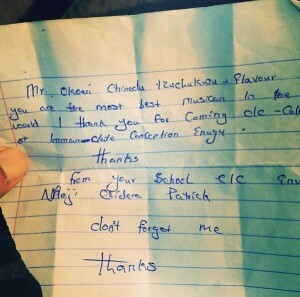 One his fans in the school wrote him an awe inspiring letter, calling him the best musician in Nigeria.